Museum partnered with Charles W. Morgan visit to host educational programs onboard. A new grant awarded to the Martha’s Vineyard Museum will help the institution develop and considerably expand its education programs. The museum is the recipient of a $500,000 National Endowment for the Humanities grant, issued by the NEH Office of Challenge Grants. The grant must be matched by $1.5 million in private contributions. The grant will underwrite the education director position as well as endow the museum’s education department. The money will be incorporated into the museum’s ongoing capital campaign, which began in 2011. That campaign seeks to expand the organization’s presence on the Island, both in terms of facilities and programs. More than $8 million in contributions and pledges has been raised since the campaign began in 2011. The capital campaign includes an endowment component, but prior to the NEH grant the museum had not specified what would be endowed. “Now we have a specific reason to talk endowment, and more of an immediacy,” Mr. Nathans said. He said the museum will have a few years to raise the matching funds. “When it comes right down to it, it’s about the community served and the kids served,” he said. “Those are the beneficiaries of this grant.” The museum applied for the grant in April. Letters from the schools superintendent and teachers attesting to the value of the museum’s education programs were part of the application. 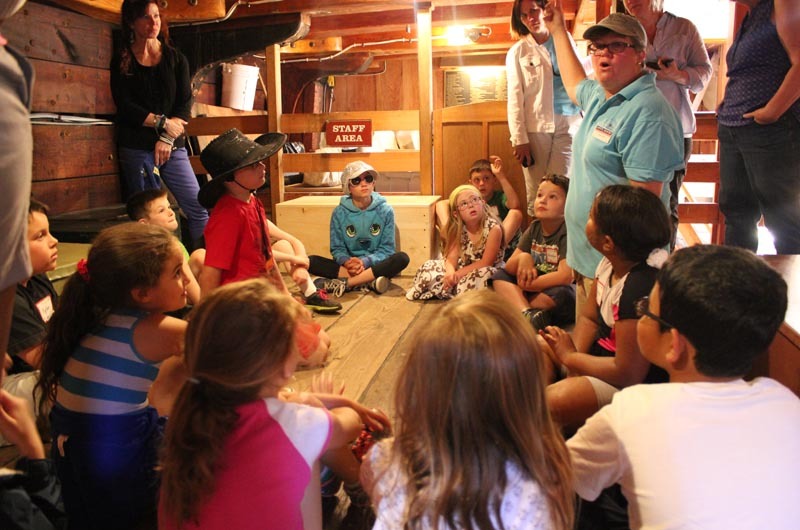 The education department focuses its efforts primarily on outreach and curriculum development in the Island schools, incorporating the museum collections to create history units that are used in the six elementary schools. Topics include whales and whaling, lighthouses, farming, and the Revolutionary War. “History in our own backyard,” Ms. DuCharme said. “Teachers love [the units] because kids get excited about learning,” she said. The units are designed to be hands-on, with students able to pore over documents from the Revolutionary War or check out old farming tools. Most of the education department’s work is with the kindergarten through eighth grade age groups. The grant will allow for new units to be developed, including some in collaboration with Island Grown Schools. Topics such as cranberry farming and the saltworks are “part of Vineyard identity,” Ms. DuCharme said. “They all have relevance today, and we just haven’t been able to develop the curriculum. It’s all in our archives,” she said. The grant will also help the department do more work with the high school. The history units are harder to incorporate into the high school schedules, so with older students the museum folds its efforts into what teachers already have in the works. Last year the education department collaborated with regional high school teacher Corrine Kurtz and her gender studies class to create an exhibit about women and crime on the Island in the 1840s. Three new exhibits are in the works, including a Now and Then photo project by photography teacher Chris Baer’s class, and an exploration with Elaine Weintraub’s Irish History class spotlighting Irish immigrants before and after the potato famine. In the past year, the department also launched a pre-kindergarten program. A class with HeadStart focused on maps. A program intended to foster conversations with the Island’s senior citizen population will begin next year. There are also summer programs for both Island and summer residents. 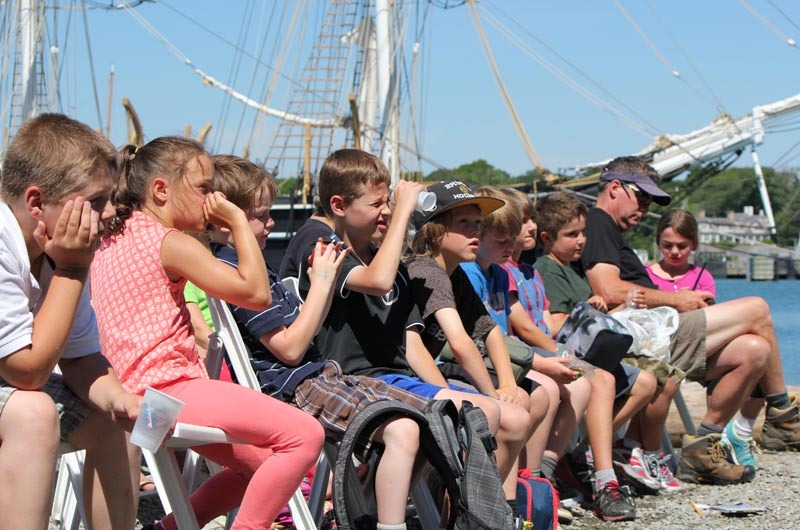 Last year, more than 300 children took part in the summer Discovery Days. The reach of the museum extends far beyond the Vineyard because of the seasonal nature of the community and its visitors, Ms. DuCharme said. “We have a chance to tell our story and engage them with our history,” Ms. DuCharme said.